Kiran Desai surprised observers back in 2006 when she won the Man Booker Prize for her novel “The Inheritance of Loss,” becoming the youngest female writer to ever be seen as worthy of the award. 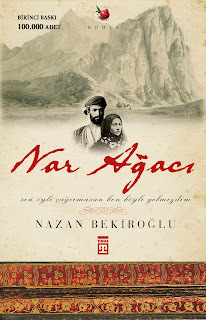 The novel, a tale of migration, became available to Turkish bookworms last week under the title of “Kaybın Türküsü.” On account of the introduction of her work to the Turkish book market, we spoke with Desai about her adventures in writing. Your novel opens with the Borges poem “Boast of Quietness.” Why did you select this poem as an epigraph? This poem reflects the souls of the characters in the novel well. When you go to another country as a migrant, there are difficulties that you experience. The real important thing isn’t just your own story. There are many people’s stories like yours, and there are people who share the same fate, just as there are many books in a genre on library shelves. But you tell your own story. I selected this poem because it conveys similar feelings to readers. In the same way, when you look at the migration stories of Latin Americans and Mexicans, you can feel the parallels between all migrants’ stories. For this reason, Borges is a writer in whom I have a lot of trust in when it comes to conveying those feelings. In “The Inheritance of Loss” you say that you tell your own story, your own “migrant experience.” How did migration and the feeling of “placelessness” and “nationlessness” affect your authorship? If you hadn’t ever migrated to the West when you left India at age 14, what kind of a life would you have had? Being a migrant forces you to be creative because in one way or another you have a motivation, like to be successful. Your world and the environment you are in are changing, and this always makes you a more creative person. Staying in the country of your birth or living in another country … for example, it’s not just these two choices. Even if you live in the US, you may have even more different choices there. You can live like a hippie or be a very successful businesswoman. Choices are everywhere, no matter where you are. You choose your own life. For example in a family you can see that while one person chose to be a doctor, another wants to grow vegetables. These options are always in our own hands, they’re not bounded by the place we live in. But, of course, there is a light feeling of loss created by the migration feeling. None of the antagonists in the novel are happy, except for Mutti the dog. But Mutti’s end is also sad. This state of unhappiness pushes the reader toward discomfort and sadness. Biju’s friend Sai is actually also happy. ... But the ends of the stories will be good, and there are relationships of which we do not know the outcome. As a natural result of the things being spoken about in the book, there is a dominating sorrow. This is to an extent required by the lifestyle of a migrant and the spiritual state of someone who has set out on that path. You speak of a habit of hatred that exists during Biju’s US years, a hatred that never let Biju go. Does migration arouse this sort of hatred? Biju is a strong and hard character. I don’t think that this feeling is hatred, exactly. Of course, at one point there’s an emotional contradiction: living somewhere that is economically comfortable, or returning to your home? In this sense decisions can be made from which there is no turning back. While returning home may seem heroic, it’s actually a very difficult decision. Do you have any plans to return to India? Not at present, but in my mind, I return there over and over again in a way. I go to India frequently, and I even spend more time over there. You’re the owner of Europe’s most respected literary prize, the Man Booker. We also know that this award is highly regarded in India as well. 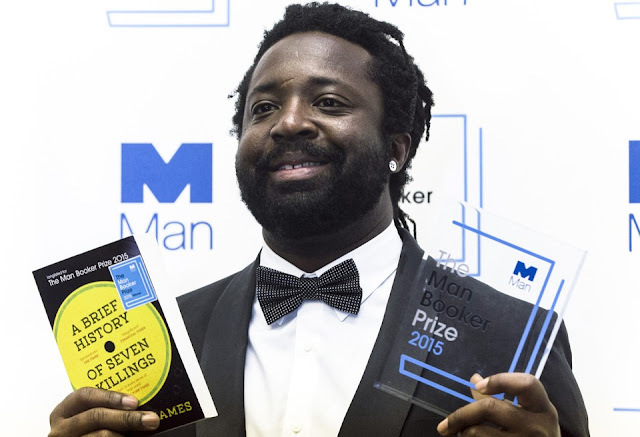 What has the Man Booker changed in your life? The prize made my life a lot easier. And this isn’t very fair. For being a writer is a difficult thing. Most of the time you can’t even find a publisher to publish your book. It’s hard to come across a publisher who will understand you fully, but when you’re a prize winner, very different opportunities can come your way. Do you think of yourself as a political writer? To what extent should a writer concern themselves with the political problems of their time? You’re the daughter of a famous author, Anita Desai, but at the same time you continued in the creative writing departments of various universities. Is writing really something that can be learned? Do you also believe in talent and heredity? I think that writing is something not to be learned, but to be developed. It has to come from within. There are many talented people who are unable to set forth a composition because writing requires a level of discipline and collection of thoughts. This can be learned by working. Also, going happily off to university, taking classes and pronouncing oneself a writer contradicts the nature of this business. The act of writing exhausts the writer and requires effort. It’s an action that another cannot teach; you must develop it. There’s a sentence in your novel that says Sai knew the stories that had to be cut off somewhere. When it comes time for you to finish your novel, how do you make the decision? It’s a very difficult decision. I end a book when I feel that a sentence or paragraph that I’m going to write will upset the balance. 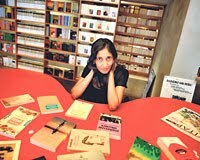 The novel’s antagonists, Sai, Lola, Noni and Father Booty, all agree that they do not like English writers who write about India. What’s beneath this? Do English writers write more attractively about England? The general view is this: Most of the British observations about India are incorrect. But I don’t think that way. There are very important novels about India. This has entirely to do with presentation. Indians think that the writers from amongst themselves render their own country better. But this can, like a domino effect, lead to this: Writers who are Indian but live abroad are also unable to portray India very well. You say in your novel that a new language creates distance and protects the heart. And you don’t write in your native language. What do you have to say about this topic? I write in the language that I’m strongest in, and that’s English. Of course, as a migrant when you live in a different country and speak another language, you lose some things. For example, my language is very different from my father’s. My father’s English was half Hindi, an English riddled with idioms. But the jokes he made, the expressions he used were Hindi. But in my language, this was lost in the generational gap. In fact for this reason my father would chide me, saying, “Your literature isn’t real literature, you’ve lost your own language in some places.” When people heard the old Delhi accent they would be so affected that they would cry. Language means something entirely different to them. At the same time, when you change your language no matter how well you speak, some things are lost. One of the things lost is the skill of making jokes. Pankaj Mishra evaluated your book by saying that even though it addresses the ‘80s, it is a post-9/11 novel. Do you agree with this view? If the attacks of 9/11 had never taken place, would you have written this book the same way? I began writing the novel long before Sept. 11, and I continued to write it for long after the attacks of Sept. 11. So there’s no connection. For Western publishers there is a certain attraction to female writers from the Middle East and Asia. For some publishers, political correctness can pull ahead of literature. Does this bother you at all? I think this is a fashion, and I am discomfited by it. There should never be periods or trends in literature. For example, I met a Nigerian woman once; when she went to a publisher to print her novel, she said the response that she got was, “Nigeria isn’t in fashion right now, the trend is India.” Of course, you never know, after a while Nigeria could be in fashion. My friends have a lot of fun with me on this topic. Again, it has to do with presentation. As a writer, what concerns me is our responsibility, how we represent ourselves and our country. After George Bush took office, you had said that you’d abandoned becoming an American citizen. What do you think of current American policies? I don’t do much thinking about this topic, neither positive nor negative. I don’t want to comment. In your novels, you focus on topics like cultural heritage, migration, colonialism, race, religion and nationalism. Are you thinking of introducing your readers to different topics? Yes, my next novel will be less political. The problems experienced by modern people, being modern, being out of fashion, the differences experienced by these sorts of people amongst themselves, the loneliness brought along by modern life. … Even if themes like this also appear in my other novels, my new book will be a work that gives significant space to emotions. It always surprised me -- why don’t authors ever speak about other authors’ books, their novels? Because these books and writers are an important part of you. You are what you read. For this reason, I wanted to talk about other books in my novel. The narrator says that books ruin Sai’s peace of mind. 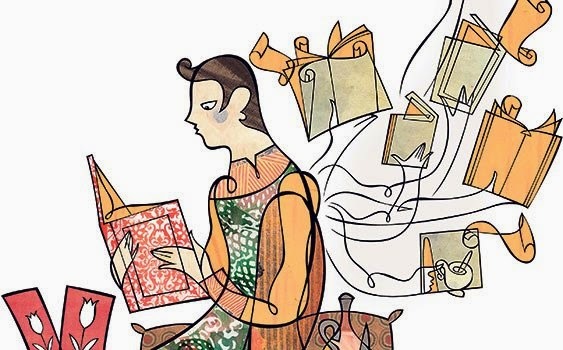 What are the books that steal away your own contentment? I actually think like Sai. Some books can make people discontent. Even if no titles come to mind right now, some readings, particularly to do with the past, some books can create a feeling of discontent. Outside of that, what makes me more upset with regard to books isn’t the books themselves, but those books that have [ceased to exist] and for whom nobody is taking responsibility and have somehow been damaged -- the libraries I saw in my childhood. Libraries and books that cease to exist even while there are still books on their shelves -- not intentionally, but due to lack of maintenance and natural conditions, books that will never be printed again … this feeling causes me discomfort. 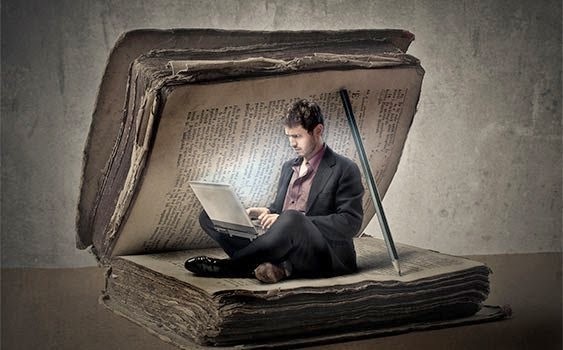 In today’s literary world, are there any writers whom you admire and emulate? There are many, actually. V.S. Naipaul, Michael Ondaatje, Salman Rushdie. In particular, Rushdie’s leadership in terms of freedom in language usage and paving the way for other writers from amongst his own people has affected me. Other chats with you have been published in the Turkish media, and a segment of them focus on your relationship with Orhan Pamuk. Does it bother you at all that Pamuk’s novel is emerging ahead? There were actually questions that came in about [my] novel as well, but were presented through Orhan Pamuk. I wasn’t bothered too much. But it makes me much happier for my book to be discussed. Did meeting Orhan Pamuk also serve to introduce you to Turkish literature? 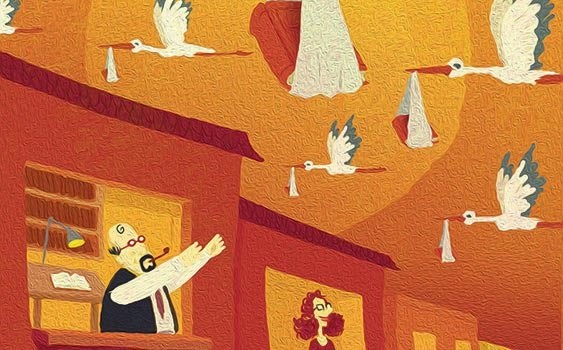 Are there any Turkish writers that you know and follow? 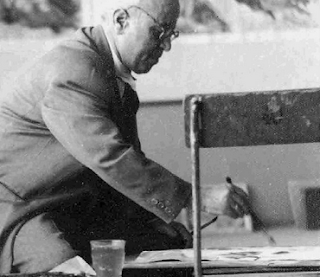 Of course there are writers that he recommended and introduced: Tanpınar, Halide Edip, Yaşar Kemal. Because he has a very large library, all of the important writers are in his hands. But the biggest problem is translation -- unfortunately, very few of them have English translations.